Radiant barriers are the ideal solution to this problem. At Dr. Energy Saver Of Connecticut, we can install a radiant barrier to reflect heat as it enters your roof, keeping your attic cooler and helping your AC run more efficiently. If you're interested in radiant barrier installation for your home, give us a call today to get a free estimate in Stamford, Norwalk, Hartford, New Haven, Danbury, Greenwich and nearby. If you have issues with expensive utility bills and uncomfortably hot rooms, a radiant barrier could be the solution you need. Dr. Energy Saver Of Connecticut can evaluate your home and recommend the right energy saving solutions for your needs, including radiant barriers, air sealing, and attic insulation. Call us today at 1-855-201-5406 or contact us online to get started with a free estimate for radiant barrier installation. 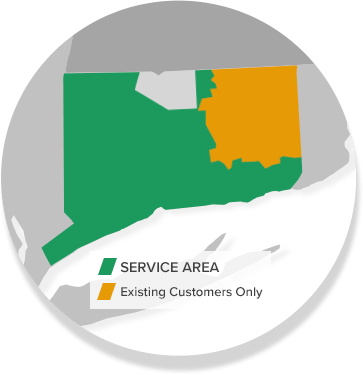 We offer all our services in Stamford, Norwalk, Hartford, New Haven, Danbury, Greenwich, Darien, New Canaan, Westport, West Hartford, Ridgefield, Hamden and throughout the surrounding areas.